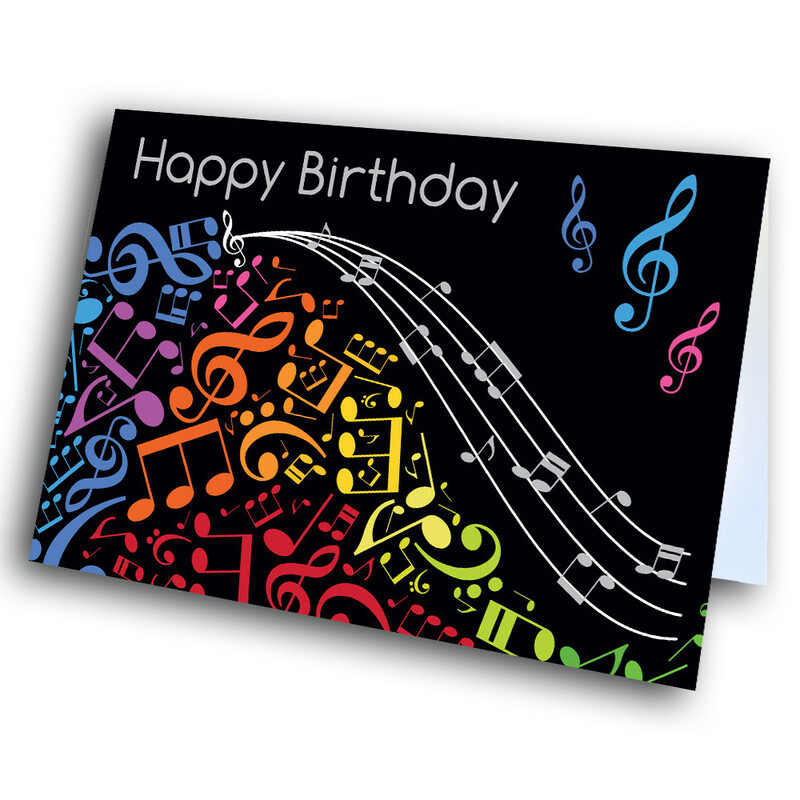 A fun and interesting birthday card for the music-lover in your life. 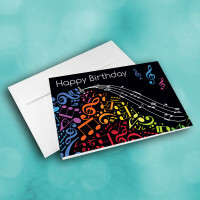 Send an artistic, creative bithday greeting card. 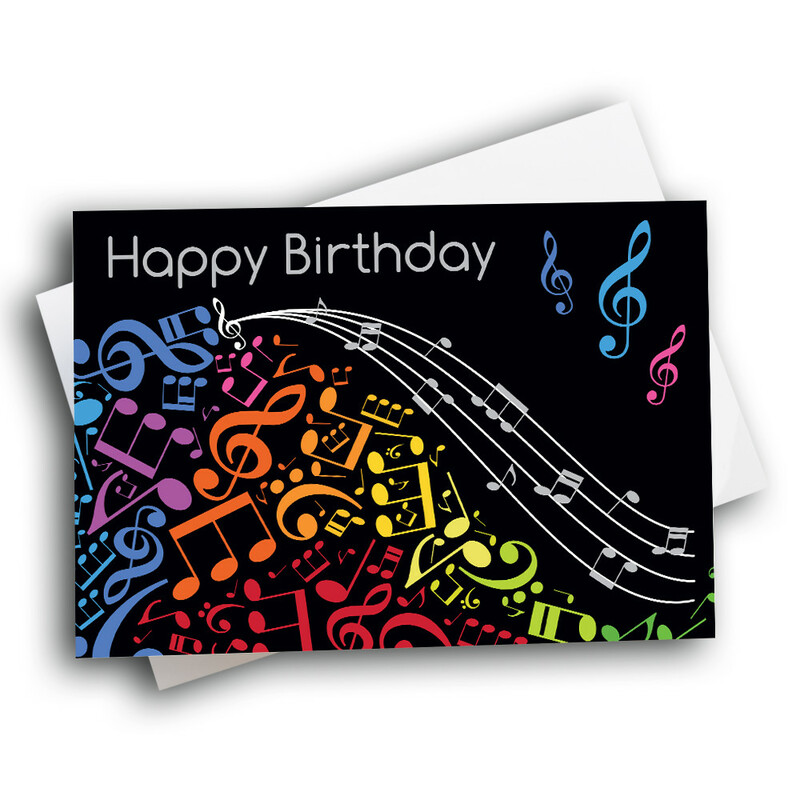 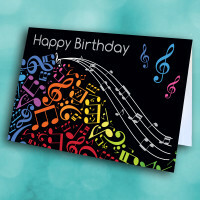 Standing out against the black background sit colorful, bright music notes, flowing in a rainbow across the card. 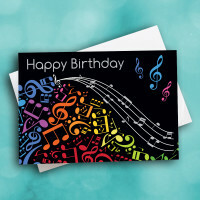 It's a fun and unique design, and sure to appeal to any birthday boy or girl with a love of music. 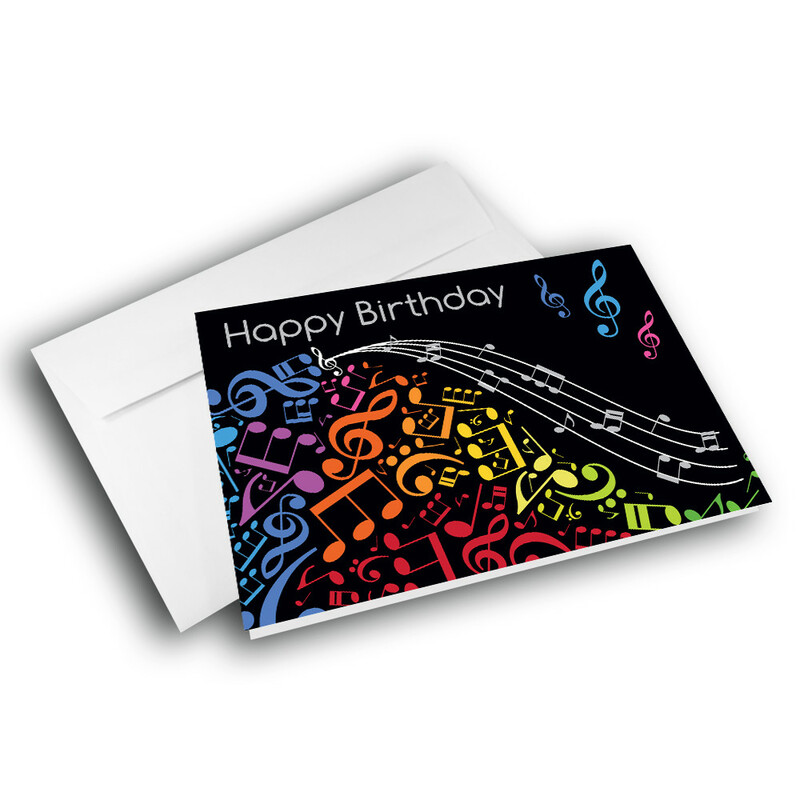 Add a personalized message inside to give the card your own individual touch.